Why not hire a Red Carpet & show your guests some glitz & glam. 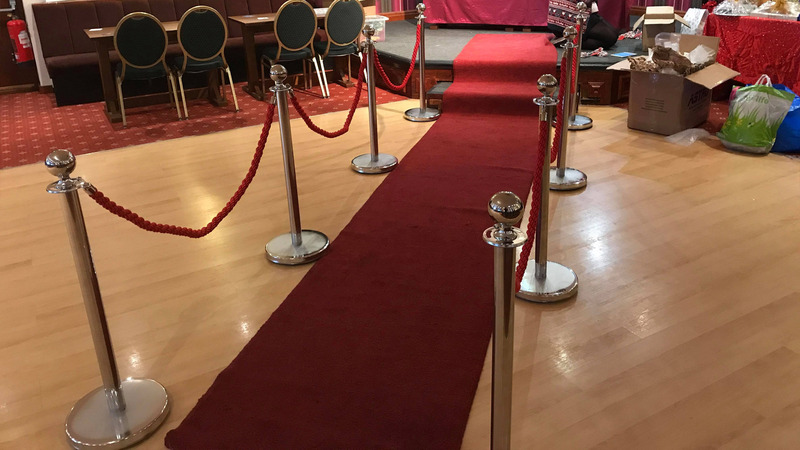 Our Red Carpets are ideal for Weddings, Corporate Functions, Award Nights, New Store openings & VIP parties. 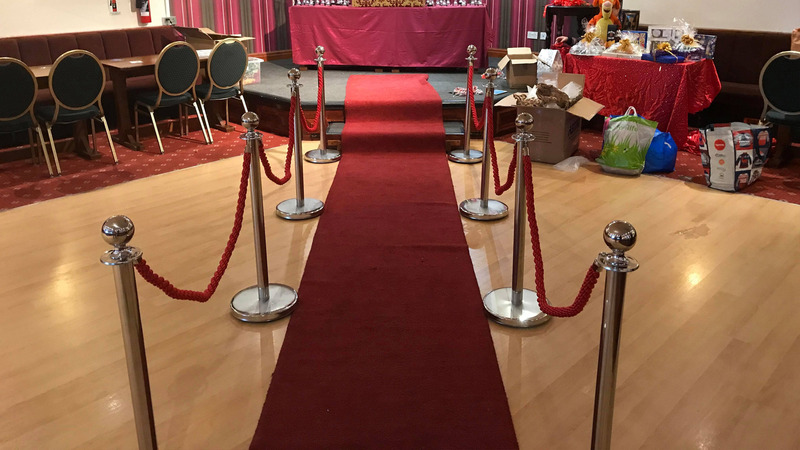 If you are looking to promote a new business, promote product launches, getting married or just want to make a bold statement, then these can definitely be a good hire for you. So when everyone is dressed in their best & ready to impress, you and your guests will arrive at your venue & be greeted like never before, taking a stroll down the red carpet toward an event they won’t forget. Below is our price guide with our best offer being only £99 for a carpet and 6 posts including ropes which is a great price. This includes delivery & set up on bigger orders. Ordering this on it’s own may incur a small charge for delivery. 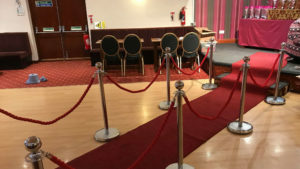 We offer a Red Carpet with Posts & Ropes. You can also change this to a White Carpet for Weddings. If what you are looking for is not here then drop me an email as we may still be able to help?